The Eye-the gift of god to mankind and organ of vision. The eye can be used in two ways in mankind: First is “To see the world around us”. It allows us to see and interpret the shapes, colors, and dimensions of objects and much more in the rest of the world, and Second is “Your eye vision”. If you want to reach the heart of others, The eye is the way to reach the heart. In other words, we can say that eyes of us are the mirror of our soul and it has lots of truth in it. The eye is the only organ of the human body which expresses yourself without saying anything to the others. To feel the world around us, we should have a good vision which helps us to connect with the rest of the world. Our eyeballs stay equal in size from our birth to death, while our nose, hand, and ear continue to grow. There are 39 million people that are blind around the world. On an average, we blinks 15-20 times per minute. If people who are blind, but were born with good sight, they can see their dreams. Now a day, retina scans are used for security purpose increases. The reason behind it is that The human iris have about 240 unique features in an iris in order to determine identity whereas A fingerprint has 40 unique characteristics. If I talk about this photo capture, I have captured this photo at the near Guru Shikhar, Mount Abu, Rajasthan. The Camping and trekking are not the only things to do in Mount Abu but horse riding is an exciting option for the people who visit the mount Abu. You have to pay a very minimal charge for a horse ride. Recently we all the friends of staff members went there for 2 days mount Abu trip. When we all friends were coming from guru shikhar, In the midway, we stopped for a photo session. 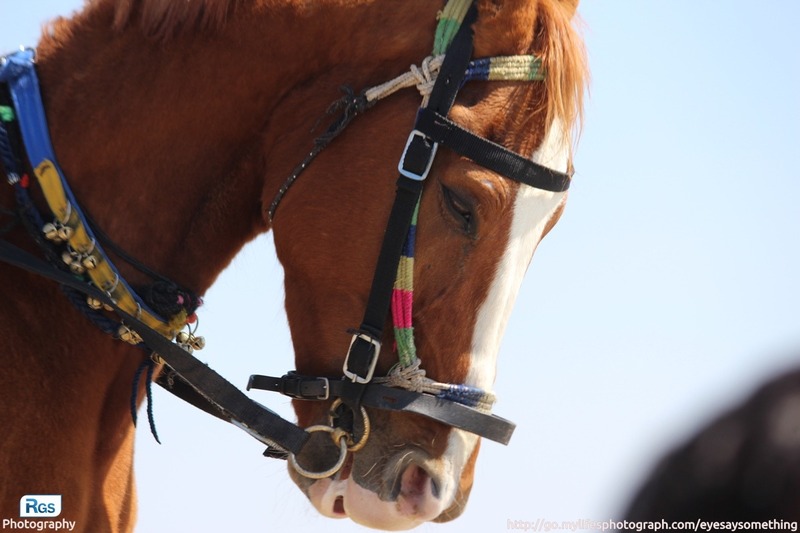 At that time, I have captured this innocent horse photo who stood quietly and the Fatigue clearly appears in his eyes. His eyes also expressed his life and lifestyle. This photo is captured by using Canon EOS 1200D with 55-250mm lens.. Yes I definately agree the eyes say it all about the person even animals. ☺?. So yes you do need to see the world fully with your remarkable eyes and take care of them and appreciate what we have.? Nice pics dear keep doing this great job ?? It’s reflect the every things whatever in the heart. This was a great read about how to use the Camera and your tactics for taking a picture! Just lovely! Photography is indeed an art. A good content and an innovative experience ? And yes, “Eyes always say something”. Eye says everything and it’s easy to recognize a person , Nice snap ? ?